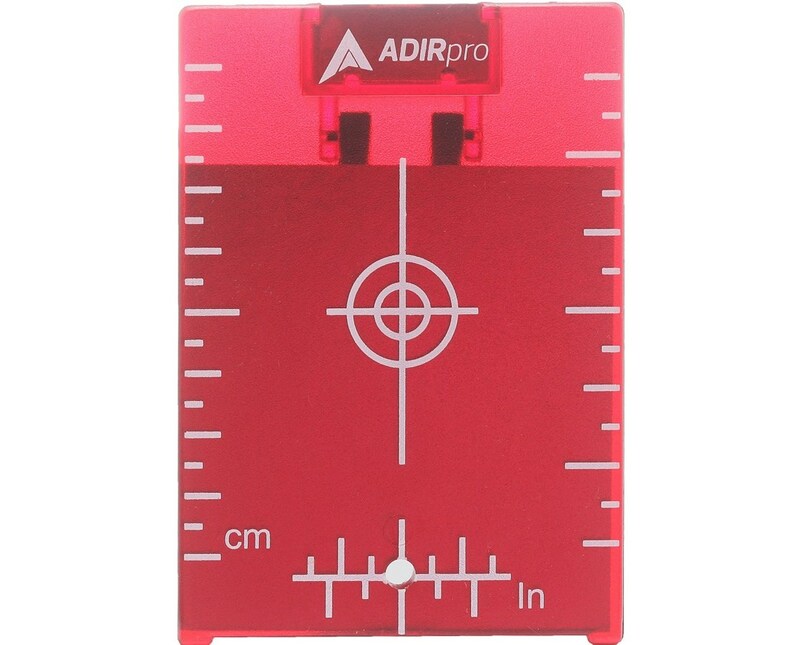 Overview for the Red Target Plate w/Stand, 4"x 3"
AdirPro's magnetic target plate is made to personify their ideology of providing quality surveying products at affordable prices. 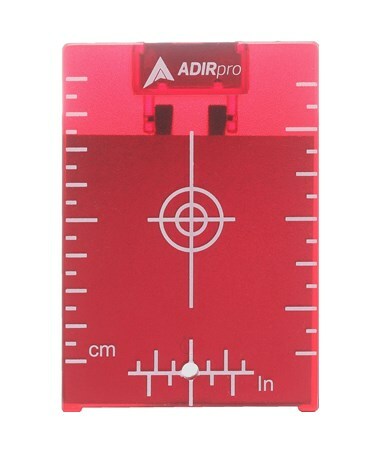 This floor target plate is a standard size of 4" x 3". It has both metric and imperial units of measure for your convenience. It's a bright red color so it's easy to keep track of. The materials sharpen and enhance the laser point's visibility for easier reading. 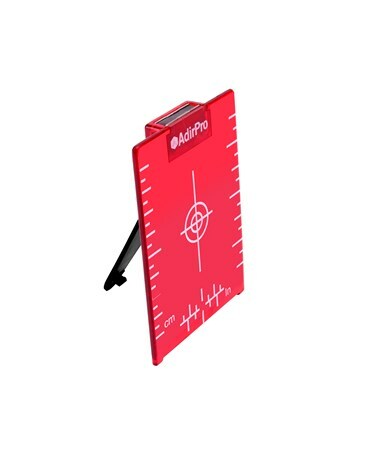 This rugged target features both magnetic plates and a stand. This allows you to either mount it on a metal or flat surface where it needs to be freestanding. Features for the Red Target Plate w/Stand, 4"x 3"
Specifications for the Red Target Plate w/Stand, 4"x 3"